Memories of the Royal Naval School, Malta, 1947 - 1978. 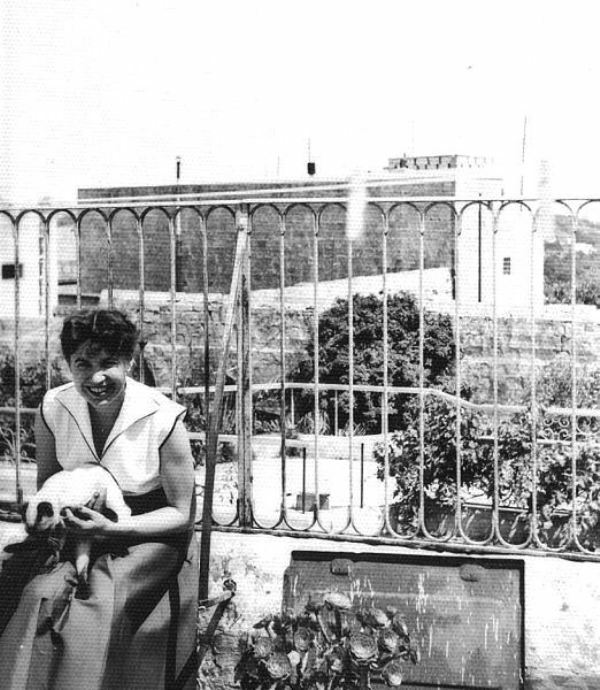 On a rooftop overlooking the garden of Villa Guardamangia 1957. Will see if I can find out next week. Thanks. It looks like something left behind by the Knights! Recce inconclusive as couldn't get onto any rooftops, but think it might be part of Villa Zammit. Had an interesting encounter with the Chatelaine of VG! More later..
Ah yes, it could well be that one couldn't it. Yes, we also had a little encounter with the chatelaine in 2005! Hope you're enjoying your holiday! Please do not copy these photos to other websites (including Facebook) - share them with a link instead.